Penzance is located is a sheltered spot on the West side of Mounts Bay. Launching is possible from within Penzance Harbour and at Long Rock. The harbour offers sheltered launching from a slipway but Long Rock requires low swell as it is moderately exposed to prevailing swell. Clean ground predominates towards St Michaels Mount but patches of reef are present back towards newlyn. Parking: A large council run long-stay car park is located beside the harbour. Access to the water is easy. Check Cornwall County Council website for the latest parking charges. Species: Bass to trolled lures. Wrasse are also possible around rocky ground. 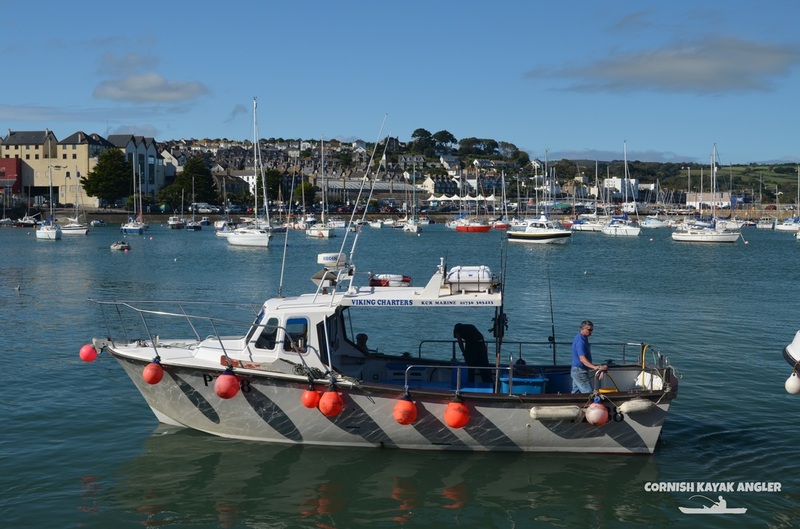 Flounder, Thick Lip Mullet, Golden Grey Mullet and small Gilthead Bream are possible within the harbour. Plaice, small Gurnards, Flounder and Small Eyed Ray are possible towards Long Rock and further into Mounts Bay. Mackerel and Garfish in season.